For fans of Victoria Aveyard's Read Queen and Amie Kaufman and Meagan Spooner's This Shattered World, Eros and Kora's story about grief, fighting to be recognized, and a fracturing society and relationships continues in this sequel. The world ruler is dead, technology foundational to their society destroyed, and Safara is on the brink of collapse. Half-human, half-alien Eros is the rightful heir to the world throne, but before he can return to the capital, he’s abducted by a rebel group of humans who call themselves The Remnant—and won’t release him until he swears to help them overthrow the very government he’s inheriting. Ava Jae is a Latinx tomboy who writes YA speculative fiction featuring marginalized characters grappling with identity. When they aren’t working on their next book, completing freelance editorial work, or buried under their TBR pile, you’ll likely find them on Twitter at @Ava_Jae, where they talk about the importance of representation and throw book recommendations at anyone who will listen. 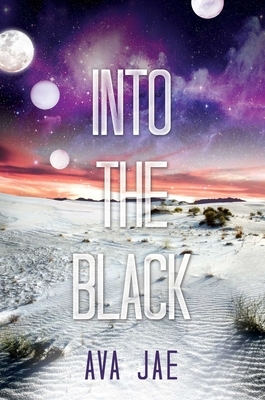 They are also the author of the upcoming Into the Black, the second book in the Beyond the Red trilogy. They reside in Boston, MA.